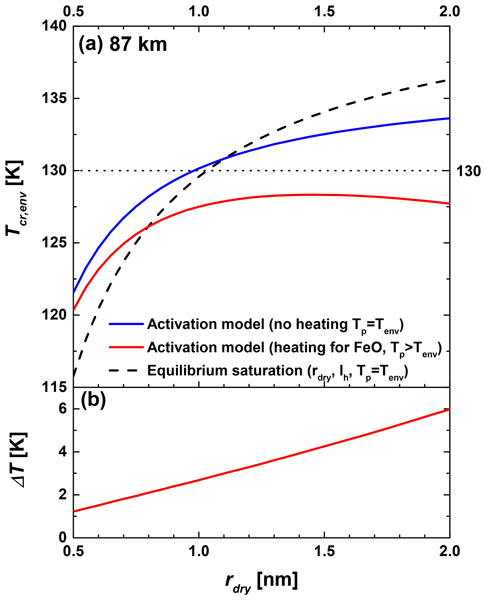 On the basis of supercooled SHG spectroscopy, I report molecular-level evidence for the existence of one- and two-step deposition freezing depending on the surface type and the supersaturation conditions. In addition, immersion freezing shows a transient ice phase with a lifetime of c. 1 min. 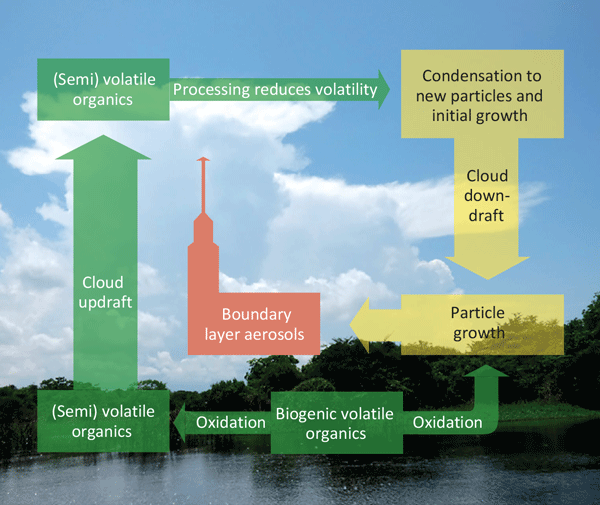 This study provides new insights into atmospheric processes and can impact various industrial and research branches, particularly climate change, weather modification, and tracing water in the hydrosphere. 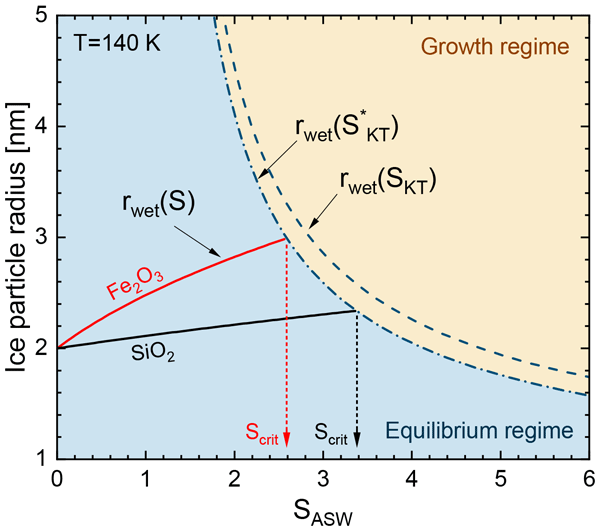 We report the effect of surface charge on heterogeneous immersion freezing for the atmospherically relevant sapphire surface. Combining linear and nonlinear optical techniques and investigating isolated drops, we find that charge-induced surface templating is detrimental for ice nucleation on α-alumina surface. This study provides new insights into atmospheric processes and can impact various industrial and research branches, particularly climate change and tracing of water in the hydrosphere. A newly developed hemispherical thermal infrared cloud camera (IRCCAM) is presented. The IRCCAM allows automatic cloud detection during the day and at night-time. The cloud fraction determined from the IRCCAM is compared with the cloud fraction determined from other instruments over a time period of 2 years. The IRCCAM has an agreement of +/- 2 oktas cloud fraction in 90 % of the data compared to other instruments. There are no significant differences between seasons or different times of day. A new aircraft-mounted probe for collecting samples of cloud water has been designed, fabricated, and extensively tested. Cloud drop composition provides valuable insight into atmospheric processes, but separating liquid samples from the airstream in a controlled way at flight speeds has proven difficult. The features of the design have been analysed with detailed numerical flow simulations and the new probe has demonstrated improved efficiency and performance through extensive flight testing. Microphysical and radiation measurements were collected with the unique AIRcraft TOwed Sensor Shuttle (AIRTOSS) – Learjet tandem platform. It is a combination of a Learjet 35A research aircraft and an instrumented aerodynamic bird, which can be detached from and retracted back to the aircraft during flight. AIRTOSS and Learjet are equipped with radiative, cloud microphysical, trace gas, and meteorological instruments to study cirrus clouds. In situ observations of cloud properties in complex alpine terrain are commonly conducted at mountain-top research stations and limited to single-point measurements. The HoloGondel platform overcomes this limitation by using a cable car to obtain vertical profiles of the microphysical and meteorological cloud parameters. In this work example measurements of the vertical profiles observed in a liquid cloud and a mixed-phase cloud at the Eggishorn in the Swiss Alps are presented. A meteorological balloon-borne cloud sensor called the cloud particle sensor (CPS) has been developed. The CPS can count the number of particles per second and can obtain the cloud phase information (i.e. liquid, ice, or mixed). Twenty-five test flights have been made between 2012 and 2015 at midlatitude and tropical sites. The results from the four flights are discussed. The subject of our study concerns measurements with optical array probes (OAPs) on fast-flying aircraft such as the G550 (HALO or HIAPER). At up to Mach 0.7 the effect of air compression upstream of underwing-mounted instruments and particles' inertia need consideration for determining ambient particle concentrations. Compared to conventional practices the introduced correction procedure eliminates ambiguities and exhibits consistency over flight speeds between 50 and 250 m s−. 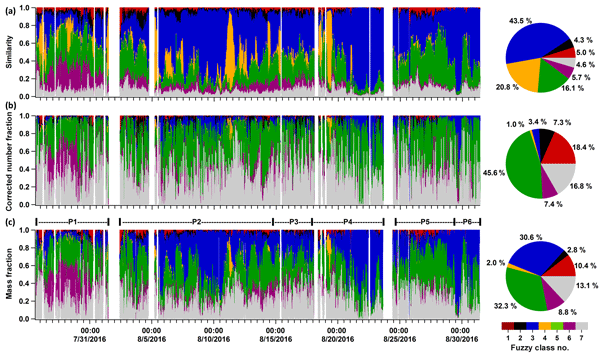 Airborne hygrometry is very important in climate research, and the interest in knowing not only water vapor concentration but (cirrus) cloud content as well is increasing. The authors provide a photoacoustic spectroscopy-based dual-channel hygrometer system that can be a good solution for such measurements. The instrument was proven to operate properly from ground level up to the lower stratosphere, giving the possibility even for cirrus cloud studies. 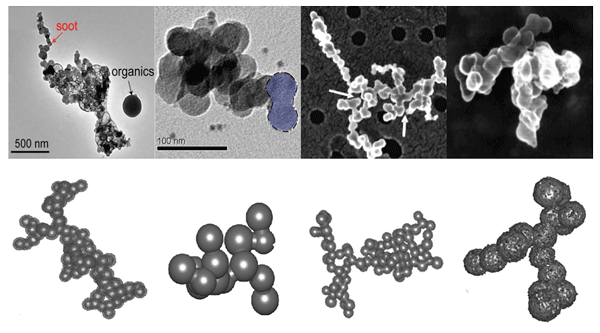 Abdelmonem, A., Schnaiter, M., Amsler, P., Hesse, E., Meyer, J., and Leisner, T.: First correlated measurements of the shape and light scattering properties of cloud particles using the new Particle Habit Imaging and Polar Scattering (PHIPS) probe, Atmos. Meas. Tech., 4, 2125–2142, https://doi.org/10.5194/amt-4-2125-2011, 2011. Baum, B. A., Yang, P., Hu, Y.-X., and Feng, Q.: The impact of ice particle roughness on the scattering phase matrix, J. Quant. Spectrosc. Ra., 111, 2534–2549, https://doi.org/10.1016/j.jqsrt.2010.07.008, 2010. Baumgardner, D., Jonsson, H., Dawson, W., O'Connor, D., and Newton, R.: The cloud, aerosol and precipitation spectrometer: a new instrument for cloud investigations, Atmos. Res., 59–60, 251-264, https://doi.org/10.1016/S0169-8095(01)00119-3, 2001. Bi, L., Yang, P., Kattawar, G. W., Hu, Y., and Baum, B. A.: Scattering and absorption of light by ice particles: Solution by a new physical-geometric optics hybrid method, J. Quant. Spectrosc. Ra., 112, 1492–1508, https://doi.org/10.1016/j.jqsrt.2011.02.015, 2011. Bohren, C. F. and Huffman, D. R.: Introduction, in: Absorption and Scattering of Light by Small Particles, Wiley-VCH Verlag GmbH, 1–11, 2007. 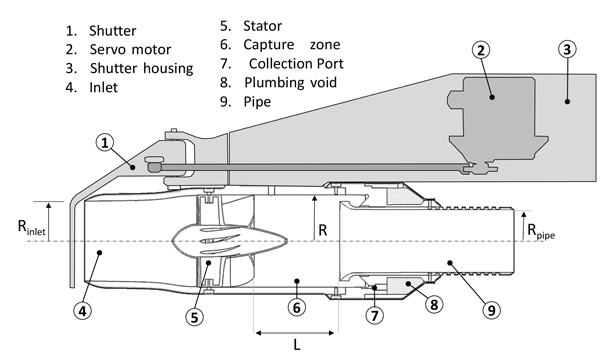 Crépel, O., Gayet, J. F., Fournol, J. F., and Oshchepkov, S.: A new airborne Polar Nephelometer for the measurement of optical and microphysical cloud properties – Part II: Preliminary tests, Ann. Geophys., 15, 460–470, https://doi.org/10.1007/s00585-997-0460-0, 1997. Draine, B. T. and Flatau, P. J.: Discrete-Dipole Approximation For Scattering Calculations, J. Opt. Soc. Am. A, 11, 1491–1499, https://doi.org/10.1364/josaa.11.001491, 1994. Fugal, J. P., Shaw, R. A., Saw, E. W., and Sergeyev, A. V.: Airborne digital holographic system for cloud particle measurements, Appl. Opt., 43, 5987–5995, https://doi.org/10.1364/ao.43.005987, 2004. Gayet, J. F., Crépel, O., Fournol, J. F., and Oshchepkov, S.: A new airborne polar Nephelometer for the measurements of optical and microphysical cloud properties – Part I: Theoretical design, Ann. Geophys., 15, 451–459, https://doi.org/10.1007/s00585-997-0451-1, 1997. 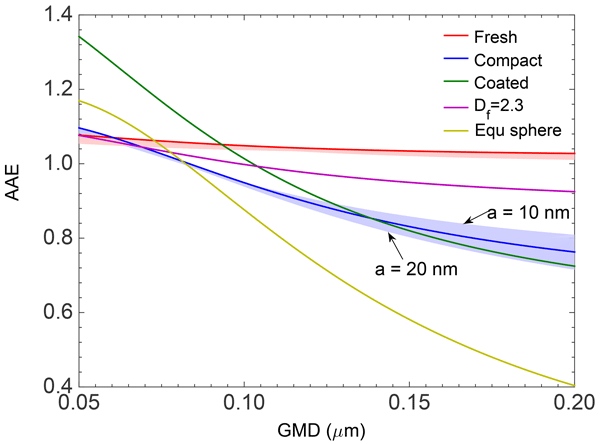 Glen, A. and Brooks, S. D.: A new method for measuring optical scattering properties of atmospherically relevant dusts using the Cloud and Aerosol Spectrometer with Polarization (CASPOL), Atmos. Chem. Phys., 13, 1345–1356, https://doi.org/10.5194/acp-13-1345-2013, 2013. 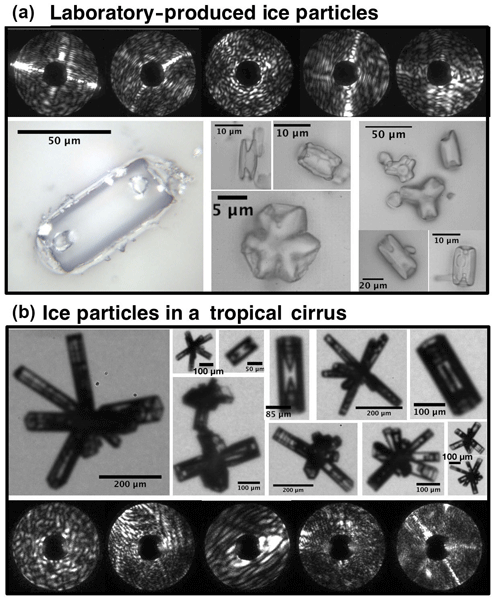 Glen, A. and Brooks, S. D.: Single Particle Measurements of the Optical Properties of Small Ice Crystals and Heterogeneous Ice Nuclei, Aerosol Sci. Technol., 48, 1123–1132, https://doi.org/10.1080/02786826.2014.963023, 2014. Havemann, S. and Baran, A. J.: Extension of T-matrix to scattering of electromagnetic plane waves by non-axisymmetric dielectric particles: application to hexagonal ice cylinders, J. Quant. Spectrosc. Ra., 70, 139–158, https://doi.org/10.1016/S0022-4073(00)00127-8, 2001. Hesse, E., Mc Call, D. S., Ulanowski, Z., Stopford, C., and Kaye, P. H.: Application of RTDF to particles with curved surfaces, J. Quant. Spectrosc. Ra., 110, 1599–1603, https://doi.org/10.1016/j.jqsrt.2009.01.011, 2009. Jourdan, O., Mioche, G., Garrett, T. J., Schwarzenböck, A., Vidot, J., Xie, Y., Shcherbakov, V., Yang, P., and Gayet, J.-F.: Coupling of the microphysical and optical properties of an Arctic nimbostratus cloud during the ASTAR 2004 experiment: Implications for light-scattering modeling, J. Geophys. Res.-Atmos., 115, D23206, https://doi.org/10.1029/2010jd014016, 2010. 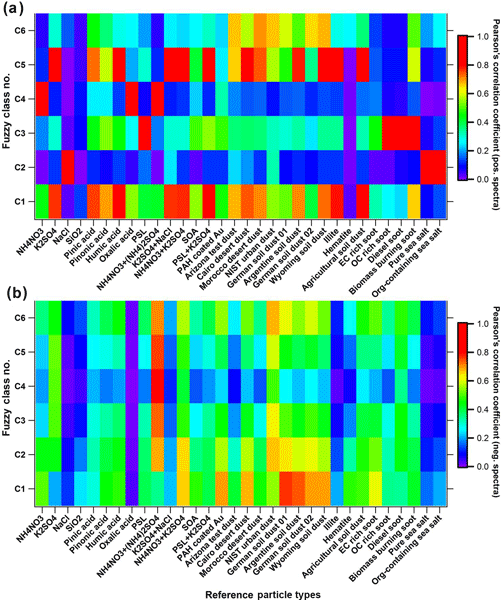 Kaye, P. H., Hirst, E., Greenaway, R. S., Ulanowski, Z., Hesse, E., DeMott, P. J., Saunders, C., and Connolly, P.: Classifying atmospheric ice crystals by spatial light scattering, Opt. Lett., 33, 1545–1547, https://doi.org/10.1364/ol.33.001545, 2008. 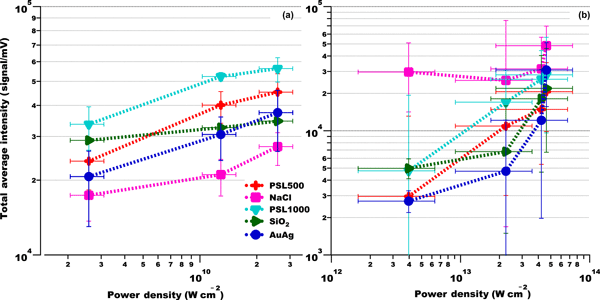 Knollenberg, R. G.: The Optical Array: An Alternative to Scattering or Extinction for Airborne Particle Size Determination, J. Appl. Meteorol., 9, 86–103, https://doi.org/10.1175/1520-0450(1970)009<0086:TOAAAT>2.0.CO;2, 1970. Korolev, A., Emery, E., and Creelman, K.: Modification and Tests of Particle Probe Tips to Mitigate Effects of Ice Shattering, J. Atmos. Oceanic Technol., 30, 690–708, https://doi.org/10.1175/jtech-d-12-00142.1, 2013. Lawson, R. P., Baker, B. A., Schmitt, C. G., and Jensen, T. L.: An overview of microphysical properties of Arctic clouds observed in May and July 1998 during FIRE ACE, J. Geophys. Res.-Atmos., 106, 14989–15014, https://doi.org/10.1029/2000jd900789, 2001. Lawson, R. P., O'Connor, D., Zmarzly, P., Weaver, K., Baker, B., Mo, Q., and Jonsson, H.: The 2D-S (Stereo) Probe: Design and Preliminary Tests of a New Airborne, High-Speed, High-Resolution Particle Imaging Probe, J. Atmos. Oceanic Technol., 23, 1462–1477, https://doi.org/10.1175/jtech1927.1, 2006. Liu, C., Lee Panetta, R., and Yang, P.: The effects of surface roughness on the scattering properties of hexagonal columns with sizes from the Rayleigh to the geometric optics regimes, J. Quant. Spectrosc. Ra., 129, 169–185, https://doi.org/10.1016/j.jqsrt.2013.06.011, 2013. Macke, A., Mueller, J., and Raschke, E.: Single Scattering Properties of Atmospheric Ice Crystals, J. Atmos. Sci., 53, 2813–2825, https://doi.org/10.1175/1520-0469(1996)053<2813:sspoai>2.0.CO;2, 1996. Pruppacher, H. R. and Klett, J. D.: Microphysics of clouds and precipitation, 2 Edn., Atmospheric and oceanographic sciences library, Kluwer Academic Publishers, Dordrecht, 954 pp., 1997. Schnaiter, M., Järvinen, E., Vochezer, P., Abdelmonem, A., Wagner, R., Jourdan, O., Mioche, G., Shcherbakov, V. N., Schmitt, C. G., Tricoli, U., Ulanowski, Z., and Heymsfield, A. J.: Cloud chamber experiments on the origin of ice crystal complexity in cirrus clouds, Atmos. Chem. Phys., 16, 5091–5110, https://doi.org/10.5194/acp-16-5091-2016, 2016. Schön, R., Schnaiter, M., Ulanowski, Z., Schmitt, C., Benz, S., Möhler, O., Vogt, S., Wagner, R., and Schurath, U.: Particle habit imaging using incoherent light: a first step towards a novel instrument for cloud microphysics, J. Atmos. Oceanic Technol., 28, 439–512, https://doi.org/10.1175/2010jtecha1445.1, 2011. Shcherbakov, V.: Why the 46° halo is seen far less often than the 22° halo?, J. Quant. Spectrosc. Ra., 124, 37–44, https://doi.org/10.1016/j.jqsrt.2013.03.002, 2013. Shcherbakov, V., Gayet, J.-F., Baker, B., and Lawson, P.: Light Scattering by Single Natural Ice Crystals, J. Atmos. Sci., 63, 1513–1525, https://doi.org/10.1175/jas3690.1, 2006a. Shcherbakov, V., Gayet, J.-F., Jourdan, O., Ström, J., and Minikin, A.: Light scattering by single ice crystals of cirrus clouds, Geophys. Res. Lett., 33, L15809, https://doi.org/10.1029/2006gl026055, 2006b. Ulanowski, Z., Kaye, P. H., Hirst, E., Greenaway, R. S., Cotton, R. J., Hesse, E., and Collier, C. T.: Incidence of rough and irregular atmospheric ice particles from Small Ice Detector 3 measurements, Atmos. Chem. Phys., 14, 1649–1662, https://doi.org/10.5194/acp-14-1649-2014, 2014. Vochezer, P., Järvinen, E., Wagner, R., Kupiszewski, P., Leisner, T., and Schnaiter, M.: In situ characterization of mixed phase clouds using the Small Ice Detector and the Particle Phase Discriminator, Atmos. Meas. Tech., 9, 159–177, https://doi.org/10.5194/amt-9-159-2016, 2016. Weigel, R., Spichtinger, P., Mahnke, C., Klingebiel, M., Afchine, A., Petzold, A., Krämer, M., Costa, A., Molleker, S., Jurkat, T., Minikin, A., and Borrmann, S.: Thermodynamic correction of particle concentrations measured by underwing probes on fast flying aircraft, Atmos. Meas. Tech. Discuss., 8, 13423–13469, https://doi.org/10.5194/amtd-8-13423-2015, 2015. Yang, P. and Liou, K. N.: Geometric-optics-integral-equation method for light scattering by nonspherical ice crystals, Appl. Opt., 35, 6568–6584, https://doi.org/10.1364/ao.35.006568, 1996. Yang, P. and Liou, K. N.: T-Matrix Method and its Applications, in: Light scattering by nonspherical particles, edited by: Mishchenko, M. I. and Travis, L. D., Academic Press, New York, 173–221, 1999. Yurkin, M. A. and Hoekstra, A. G.: The discrete dipole approximation: An overview and recent developments, J. Quant. Spectrosc. Ra., 106, 558–589, https://doi.org/10.1016/j.jqsrt.2007.01.034, 2007.